Thrifty and Frugal Living: Facebook Freebie: Free Sample of the Newest Pantene..HURRY! Facebook Freebie: Free Sample of the Newest Pantene..HURRY! 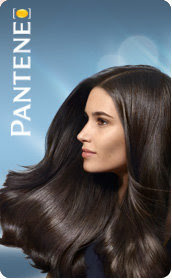 Go here and become a Pantene Facebook fan and then click on the link they have posted. It will take you to your home page and there will be a spot to click for your freebie under where it says "Sponsored" on your right sidebar. Samples are limited, so hurry! Hope you have a fantastic Friday. I am now following you from Friday Follow! Hope you will follow me too!